UNION CITY, Ga. -- Union City Police are looking for a man accused of shooting a store clerk to death. D'Vontavious Bernard Williams, 20, is accused of gunning down an employee of Yasmin's on 29 in the 6700 block of State Route 29/Roosevelt Highway Monday evening. The clerk, 28-year-old Sohil Padania, died of his injuries. 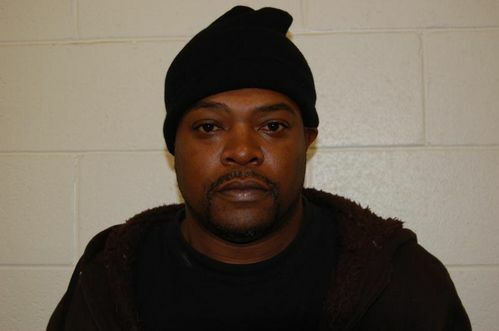 Union City Police said Williams shot Padania while robbing the store. Williams is black, about 6 feet 1 inch tall and 165 pounds, with black hair and brown eyes. He is considered armed and dangerous. Police have issued warrants for Williams for felony murder, armed robbery and aggravated assault. Anyone who sees him or knows his whereabouts is asked to call 911. UNION CITY, Ga. -- A man accused of murdering a woman in a Union City hotel earlier this month has been arrested. Irwin Clint Dresbach, 33, was taken into custody Monday night at a motel on Virginia Avenue near Hartsfield-Jackson Atlanta International Airport. U.S. Marshals Supervisory Inspector Jim Joyner said information from the Fayette County Sheriff's Office led agents to the motel. Dresbach was armed when marshals arrived; after a brief standoff and struggle with arresting officers, he was taken away. FAIRBURN, Ga. -- Fairburn Police are looking for a suspect who led officers on a high speed chase before crashing his car into an SUV and a MARTA bus stop. Friday morning, police identified the suspect as 43-year-old Alan D. Richardson. The incident began at around 9:30 p.m. Thursday, when police tried to pull over a car on Highway 29. The driver turned off his headlights and sped away, according to Fairburn Police Sgt. Anthony Bazydlo. COBB COUNTY, Ga. -- Three men were found guilty last week of shooting a victim to death and dumping his body in Cobb County. Jurors deliberated five hours before convicting 27-year-old Harvey "Rucks" Hogans of New York, 32-year-old Derek Lee Kemp of Marietta and 31-year-old Alphonso "JRock" Watkins of Marietta of a number of charges. The defendants were sentenced Monday to life in prison without the possibility of parole. Police believe Hogans pulled the trigger in this case. Kemp and Watkins both had prior felony convictions that required the life sentence. Prosecutors said that on July 1, 2011, the trio set up Derek George Gray Jr. for a robbery. The defendants then shot Gray in a Ford Taurus, which was later found burned in Union City, before discarding the body off Circle 75 Parkway. FAIRBURN, Ga. -- Smash and grab burglars drove a vehicle into a south Fulton County convenience store and pried open its ATM Tuesday morning. The burglary happened shortly before 3 a.m. at the Chevron Food Mart in the 4800 block of Roosevelt Highway in Fairburn. Fulton County Police Cpl. Kay Lester said investigators believe the thieves drove a truck or SUV through the store's front doors, causing extensive damage. The suspects then forced open the ATM, but police aren't sure if they took any cash. UNION CITY, Ga. -- A former employee of the Union City Water Department has pleaded guilty in Fulton County Superior Court to stealing customers' money. Johnetta Robinson, 42, was convicted Wednesday of one count of theft by taking. She was sentenced to five years on probation and was ordered to pay $5,000 in restitution. Robinson worked for six years as a lead account technician for the water department. She accepted cash payments from new customers when they created accounts. Between February 2009 and March 2010, Robinson reportedly pocketed customers' money without entering the transactions into the computer system. The thefts were discovered during a mini-audit. Robinson was fired after admitting to taking the money. Union City Mayor Vince Williams was present when Robinson made her plea.